Released by RKO on 30 September 1938, Room Service was based on a very successful Broadway play by John Murray and Allan Boretz. The studio paid $255 000 for the film rights and a further $250 000 for the Marx Brothers. Zeppo arranged the deal, the only he made for his brothers. Groucho's only comment on the subject was that his brother Zeppo should have arranged a larger salary. The play was adapted and Marxified by Morrie Ryskind. Fly-by-night theatrical producer Gordon Miller struggles to keep his production and cast together, despite severe deficiencies in the money department. Hotel-chain supervisor Wagner threatens to throw Miller and his actors off the premises, an eventuality Miller hopes to forestall until he can obtain $50,000 from a wealthy backer. Meanwhile, the author of Miller's play, shows up to see how things are going. Over the years people have discussed possible alternate casting options that might have made the film more characteristic, like bringing in Zeppo as the playwright, Sig Ruman as Wagner, Margaret Dumont as the potential backer, etc. Another suggestion has been to put Zeppo or a Zeppo substitute as Gordon Miller, the producer; this also fits well for making Chico and Harpo his primary allies. Groucho then would be plugged into the role of the hotel manager, Miller's brother-in-law, who has been reluctantly providing cover for the company. This would have done a better job of sustaining the Marxes' characterizations even if it meant more changes in the original play. 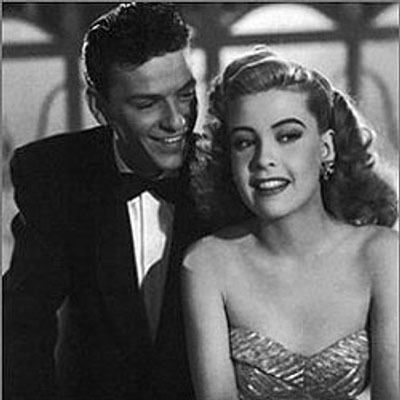 Room Service was effectively musicalized in 1944 as Step Lively starring Frank Sinatra. Putting the Marxes with ol' Blue-eyes in a combined movie would also have been interesting.